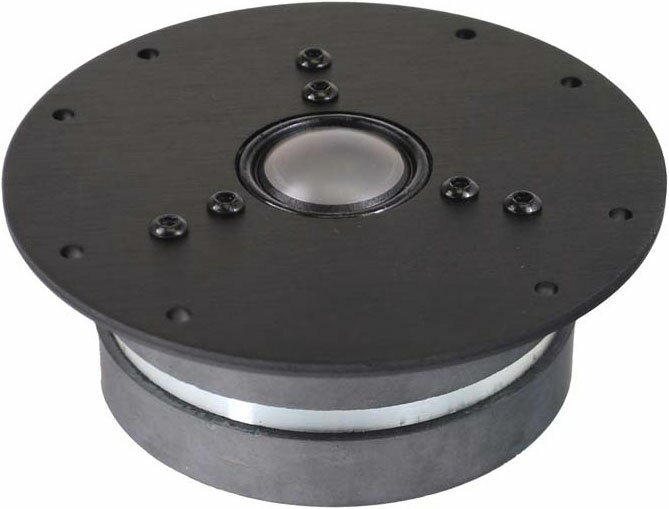 Bass/Midrange Driver: 7″ paper cone revelator features a non-resonant cone and dust cap structure, dynamic linear suspension, SD-1 magnet system, “Grasshopper” cast chassis with maximized air flow and resonance terminating mounting system. Less resonance in all structures, lower compression and higher linearity, faster termination of excess energy and higher sound pressure capability. The Carrera Rev 7 BE speakers are the second model I have reviewed that are designed and built by Fritz Heiler. 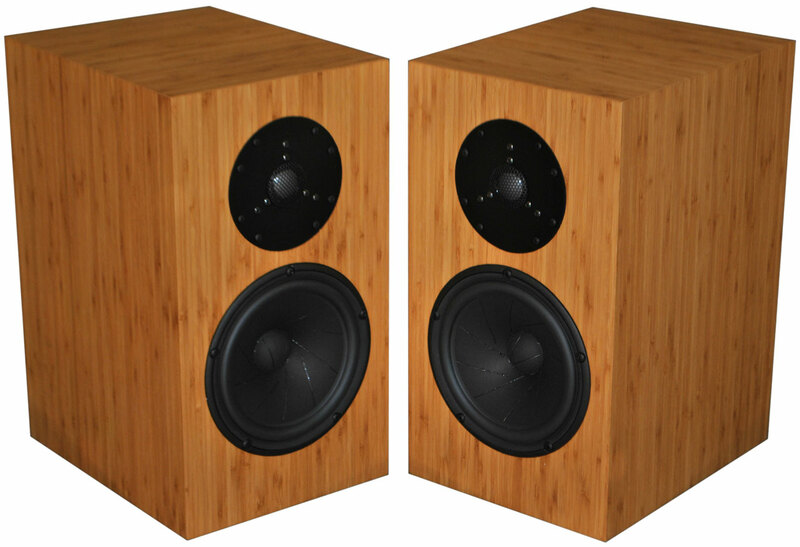 In the summer of 2014, I reviewed the excellent Fritz Accuton 6 speakers. The Accuton 6 used all ceramic drivers and were very impressive sounding. Then in mid-April of this year, I got a phone call from Fritz wanting to know if I wanted to hear his newest speaker, the name and the price of which were yet to be determined. I didn’t have to think twice because over the years I have heard many of Fritz’s speaker at audio shows, and have always blown away by them. For example, at the 2013 California Audio Show, I had the pleasure of serving on a panel discussion where attendees were invited to ask audio writers questions. On the panel was Jason Victor Serinus of Stereophile, Neil Gader of The Absolute Sound, Michael Mercer of Positive Feedback, and myself. One of the questions we were asked was what rooms we would recommend not to miss. Only one room was named by all four of us, that using Fritz Speakers, WyWires, and Wyred 4 Sound room. Fritz uses a series crossover without any capacitors or resistors in the circuit with the tweeter. It’s called an Acoustic Reality Serial Crossover. On his site, he gives us a link to an explanation. I can tell you this, though, my ears say that Fritz speakers produce the most coherent sound I heard from a two-way speaker. In addition, all Fritz speakers I have seen have a well-built cabinet in common. The cabinet for the Carrera Rev 7 BE is a simple two-way, rear-vented, stand-mount monitor with a dense, solid walls. The Carrera weighs in as the most solid-feeling 30-pound small box speaker I have ever picked up. A nice optional bonus is that you can have Fritz build your pair in almost any finish you want. I first listened to the Fritz Carrera Rev 7 BE in my upstairs digital/video system. The system consists of a 65-inch Sony XBR 4K TV, an Electrocompaniet PI 2D Prelude Integrated Amplifier, Direct TV HiDef DVR and an Oppo BDP-105D Blu-ray/SACD player/streamer. Normally, the Electrocompaniet is driving a pair of Audience ClairAudient 1+1 V2+ Loudspeakers and TBI Audio Systems Magellan VIP su Active Subwoofers. The cables in this system are from Audience. In many ways, this system seems to me to be the kind of system where the Fritz speakers will often be used. The combination of the Electrocompaniet, Oppo and the Carrera 7 BE speakers comes in under $10,000, leave you room for some nice cables. The Carrera Rev 7 BE seemed to me to be a match made in heaven with this system. So much so that they are the only speakers I have ever had in the upstairs system that after listening to music for a little bit I didn’t decide to move downstairs to my reference system. I have had some pretty special speakers in this system, including the 47 Labs Lens 2, Audience ClairAudient 1+1V2+, Audio Note AN-Ks, Audio Space’s LS3/5a, Fritz own Accuton 6, Lindemann BL-6, Teresonic Magus and the GamuT L3. I love the way the Fritz Carrera Rev 7 BE sounded in this system and will surely miss them when they are gone. The Carrera Rev 7 BE is not quite as transparent as the Audience speakers, but they were close enough such that I never missed that last little bit of transparency. The fritz have a much richer sound with beautiful tonal colors. I almost hate to say that because some of you will think I’m saying this is an overly warm and forgiving speaker. Nothing could be further from the truth. These are very sophisticated sounding loudspeakers. They never call attention to themselves, but make it very easy to slip into the emotions of the music. This is true whether it is Led Zeppelin, Miles Davis or Yo-Yo Ma. They manage to play music with a big sound that defies their size. They have a smoothness, and areeasy to listen to for long periods of time without any harshness. The extension of the BE tweeter allows you to experience the air around and within the instruments. My reference system consists of a pair of Teresonic Ingenium XR-Silver speakers driven by a Pass Labs XA30.8 pure class A stereo amp. The linestage duties are carried out by an Emia Remote Autoformer. The source is my AMG Viella V12 turntable and arm. I used two cartridges for the review, the Soundsmith SG-220 Strain-gauge and the DS Audio DS-W1 Optical Cartridge. All the cabling is by High Fidelity CT-1 Ultimate Reference. Everything is plugged into an HB Cable Design PowerSlave Marble power distributor. I moved the Teresonic speakers and placed the Fritz Carrera Rev 7 BE on a pair of 28-inch stands. I played around with placement and found they sounded best in my room about two feet off the front wall and about 3 feet from the side walls. In this position, they produced a wonderfully wide, deep and tall soundstage. They produced instruments and voices outside and behind the speakers, but they did this in a way with a coherent and solid stage. Never did instruments just seem to be floating in space, but sounded like part of the whole. I really appreciate this. The most impressive and expensive stand mounted speakers I have had in the reference system was the $17,000 Raidho Ayra C1.0. They had a huge image and huge bass, but the lack of continuity between their tweeter and woofer made them less enjoyable to listen to music over the Carrera Rev 7 BE. The Raidho had detail, transparency, bass power and speed, while the Fritz has musicality. The stand mounted speakers I had most recently in this system, and which were closest to the Fritz in price, were the Audio Note AN-K/SPe. In design, they differ from the Fritz in that they are a sealed box instead of a rear ported speaker. The Audio Note cabinets are designed to play along with the speakers instead of being a dead cabinet. 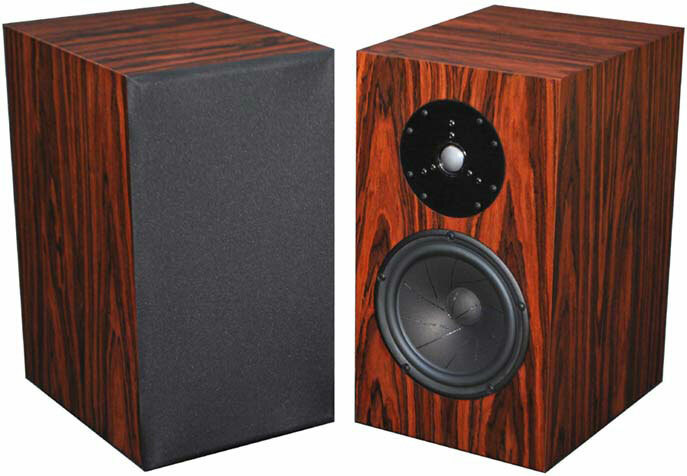 There is a lot to like about both of these speakers, but they sound quite different. The AN-K/SPe have incredible Pace, Rhythm, and Timing. The bass is tight and quick. It was hard to talk about these speakers without talking about how incredible they sounded for their size. As good as the Audio Notes sound, the Fritz speakers have a much more full range and fuller sound. They play music with more beautiful tonal colors and simply sound bigger. I do not remember thinking that they sounded great for their size, but just how great they sounded. Having them in the reference system meant they were being driven by the wonderful Pass Labs XA30.8, which can just reach out and control a speaker and give them incredible sound in the bass. This was surely true with the Carrera Rev 7 BE. While in the digital/video system I used them with a subwoofer, I did not feel the need in the reference system. Fritz Heiler started designing and making loudspeakers in college over 40 years ago. His speakers have had many, many good reviews over the years. His rooms are often listed among the most musical at audio shows, but Fritz isn’t one for resting on his laurels. He seems to love constantly experimenting with new drivers and cabinet construction to improve his designs. Fritz uses expensive drivers from established and well-known international companies. He then makes well-built and well-braced cabinets. His cabinets look very nice and can be ordered in multiple finishes, but he chooses to put more money inside his speakers than on eye candy. The result of all this experience and choices in design is that we end up with a speaker like the Fritz Carrera Rev 7 BE, aspeaker that should provide many years of musical enjoyment without breaking the bank. These aren’t just great speakers for their size or great speakers for their price. These are great speakers for listening to music. Hehe. I still think about you from time to time. I hope you are doing well. I need a sound bar for my TV and found your website. Would these speakers sound good on low volume? I’ve owned Fritz Carreras for two months. You described them very well. They are neutral and accurate but absolutely not sterile or analytical. They reflect everything in front of them as great speakers do. A few added comments… Yes, they sound good at low volumes. My Maggie 3.6s needed to get cranked a bit in order to open up. These don’t. They have a 30 day money back guarantee, so there is no buyer anxiety. Fritz drove to our house, set them up, and stayed for 3 and a half hours. He’s a very nice guy and exerted zero pressure to buy. No worries there as the speakers sold themselves. Fritz recommends 24 inch stands, and the $20o Pangea’s work great. The bass is solid for a small speaker but heavy rock and organ aficionados may want to add a subwoofer. I’m not using a sub, and am very pleased with the music they make. My wife describes them as happy sounding. As usual, she’s right.